Inspiring Landscape Ideas for Compact Spaces - Fox Hollow Landscaping and Design, Inc.
Are you a garden and landscaping enthusiast, but do not have much space to make your visions come to life? Are you living in a flat or a small apartment and don’t have a big enough area for a garden? If so, do not fret; there are some great landscape ideas for compact spaces that you can utilize to bring your space to life no matter how much room you have. Specific items will make your space look more substantial and more alive. You can also change the perspective to make your area look bigger by making a few minor changes. However, as with any landscaping project, it’s important to set a budget and take the time to put a plan in place to ensure that you get the most out of your project and achieve the look you want. Keep reading below to find some inspiring landscaping ideas and get the most out of your limited space. When you have a small amount of space to work with, you want to break it up to give the illusion of more space. One way to do this is to make the area cozy. Having an intimate area that you can escape to for reading, bird watching, meditating, or doing anything else that requires a little peace and quiet is a great way to give a small backyard a little more meaning and purpose. Perspective is what you make of it. Everyone has a different view on what they see, smell, or feel. It’s important to understand this concept when coming up with landscaping ideas for compact spaces. Add in long, straight lines to your backyard to give the impression that the area is much bigger. This tricks your brain into thinking there is depth where there is not. In the very back, place a fence or rows of flowers as a central focal point and to create the illusion of more space. Another great way to give the illusion of a larger space is to create a dramatic, beautiful view. To make a small yard look bigger, add in shrubs, trees, and flower containers, or even a little water feature. Pergolas are also a classic way to frame a view and give a small space style and charm. Utilizing plants in this way can add a real touch of elegance and finesse. 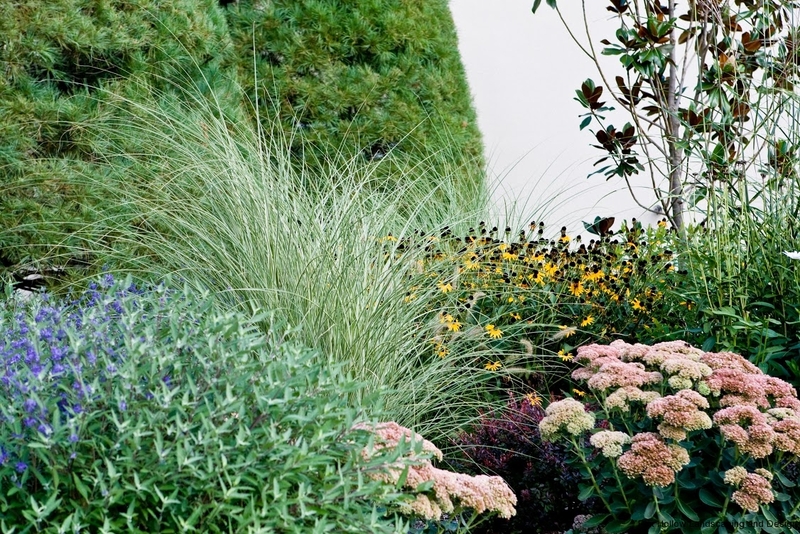 One popular landscape idea for compact spaces is to use color appropriately and effectively. By using a few bold colors in the front of the space you are decorating and designing, your eye will be drawn to those colors first and give the feeling that the area is more extensive than what it is. The small garden landscape will seem farther away giving an illusion of a larger space. Splashes of color will also add character and help you to inject some personality into your garden. 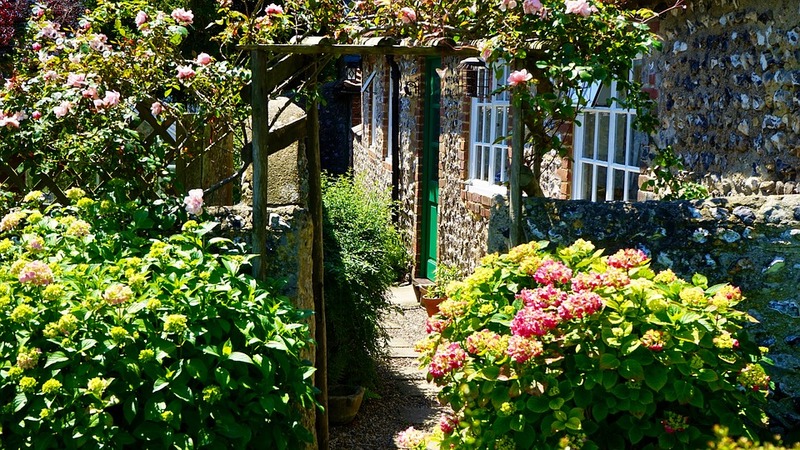 Whether you choose to make your area cozy, manipulate garden perspective, utilize plants and other garden décor, or use color to make your small space ‘pop’, you will have a gorgeous and charming garden area to enjoy all year long. If you need assistance with your landscaping and garden, especially if you are in a smaller space, feel free to contact Fox Hollow Landscaping and Design at 973-263-8106 for all of your landscaping and design needs.